The term ‘Wordy’ or ‘us’ or ‘we’ or ‘our’ refers to the English company Wordy Limited as the owner of the website ‘wordy.com ‘ whose registered office is Second Floor Cardiff House, Tilling Road, London NW2 1LJ, England. Wordy Limited is registered with the UK government register of UK companies under company number: 07443366. The term ‘content’, ‘document’, ‘text’ or ‘job’ refers to any written material sent to Wordy for editing. 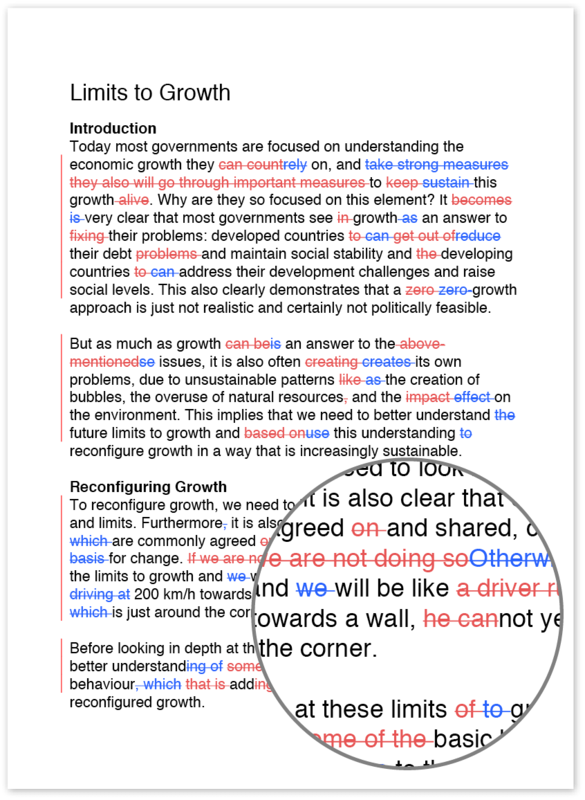 Wordy is a real-time service that adds professional, human copy-editing and proofreading to a client’s text. It is essential to us that clients know what to expect, and you know what to deliver. When sending a document to Wordy, clients receive an instant price quote. The quote includes checking and correcting the grammar, spelling, punctuation, consistency and textual structure. All quotes are non-binding. Editors work from a standardised set of guidelines that describes in detail the process by which all documents are copy-edited — see section 5 below. It is a requirement when registering as a copy-editor with Wordy that you are an independent self-employed provider of editorial services. As a registered copy-editor, you will not be employed by Wordy but will only acquire work through Wordy. You can access all your personal information that we collect online and maintain your account after signing in. Here, you can also modify, add, or remove any of your personal information. Your account is also where you can track your earnings, accept open orders, deliver orders, view order details and much more. When a client completes an order on Wordy the payment is transferred to a dedicated account for holding. Upon your acceptance and subsequent delivery of the order, the payment is credited to your Wordy account. Note, the client has two days from the next business day to evaluate, accept or claim a re-edit. The payment is not credited to you before the clients’ acceptance of the job. Wordy transfers payments to your account on the second Tuesday of each month. You can see your account balance and modify your banking details in your account. Due to the cost of bank transfers the minimum amount payable to you is not less than EUR 50. If this minimum amount is not reached in a particular period, Wordy is entitled to carry the amount due to you to the next period and so on, until the minimum amount is reached. The credit balance on your Wordy account does not accrue interest. All payments are made in the European Union currency, the euro (EUR), converted to your local currency at the rate of the day. Payments are exclusive of customs duties and other taxes apart from UK VAT. Copy-editors acquire jobs on Wordy on a first come, first served basis. When a client sends a document to Wordy, he or she is prompted to choose a category for the type of text as well as to provide a short brief for the editor. All Wordy copy-editors can access this information, and on the basis of it choose whether to accept the job. All copy-editing must be done in accordance with Wordy’s style guides. 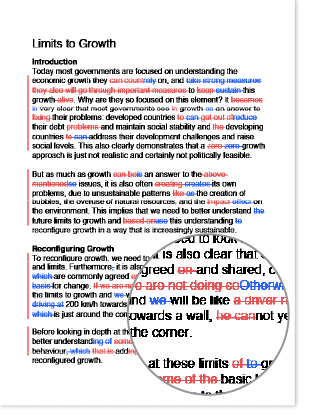 Copy-editing of a client’s text includes checking the grammar (correction of all grammatical errors), spelling (correction of all spelling errors), punctuation (correction of all punctuation errors), consistency (imposing a consistent style) and textual structure (ensuring that the structure is well organised). Editing does not include development (any writing apart from ensuring consistent structure), rewriting, ghost-writing or critique or evaluation of the text. All dates and times provided for the delivery of the document or text are approximate. Wordy cannot be held liable for any loss or damage caused by a later delivery time than the approximate one. Upon acceptance of the text, you have the right to refuse the job if it doesn’t meet the standard that makes it possible for you to complete the job. This right also holds if, during a job, you discover that you cannot carry out the job to an acceptable standard for any reason. If you refuse the job, the client is notified via email, and the client’s payment reimbursed. A Wordy editor may refuse to edit material he or she finds personally offensive for any reason. Once he or she has accepted a job, however, the editor must provide the highest level of service, regardless of his or her feelings about the ideas presented in the work. At no time will a Wordy editor insert his or her beliefs into the author’s work, by modifying text or through marginal comments, or offer commentary that is argumentative or denigrating to the work. If the client does not accept the re-edited work done by you, Wordy will inform you of the client’s reasons for the refusal. If the client’s claim is legitimate and supported by substantive proof, the client’s payment will be reimbursed, and you will not receive any payment. In recruiting copy-editors for Wordy, we make use of a series of tests to determine editors’ proficiency in grammar and spelling, command of English, ability to spot inconsistencies, and awareness of ambiguities and textual structure. Also, we ask for and check editors’ credentials, including their professional experience, formal qualifications and training. The tests are copyrighted by Wordy and must not be distributed by any means or in any form. Every effort is made to keep the website up and running smoothly. However, Wordy takes no responsibility for, and will not be liable for, the website being temporarily unavailable due to technical issues beyond our control. If you have any questions or concerns about these terms and conditions, contact us at legal@wordy.com. Any dispute arising out of or in connection with this agreement, including any disputes regarding its existence, validity or termination, will be settled by arbitration arranged by English Arbitration in accordance with the rules of the arbitration procedure adopted by English Arbitration and in force at the time when such proceedings are commenced.